Welcome to Volume 3, No. 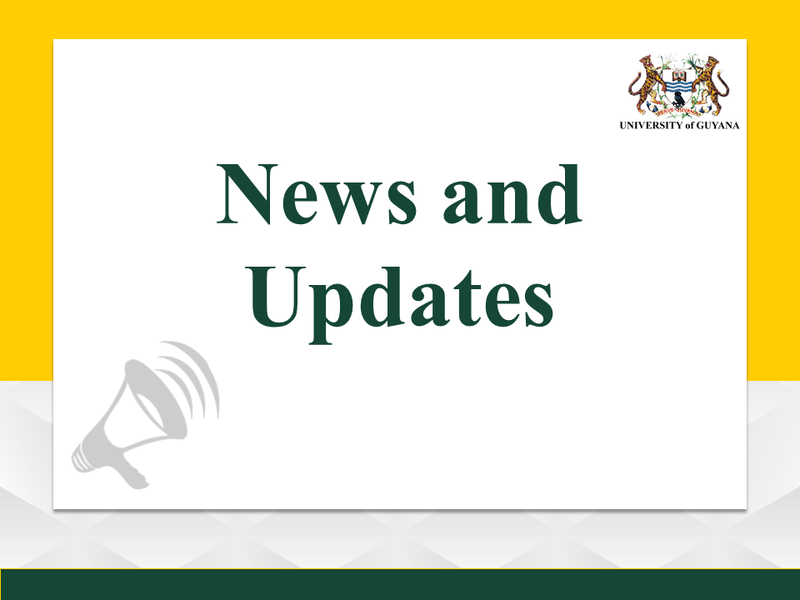 1 of Renaissance, the newsletter from The Office of the Vice-Chancellor in which we share all the latest activities and developments taking place at The University of Guyana. It is said that change is the only constant in life, and this is certainly the case at the University. Many significant transformations are occurring at this great institution – just some of which are highlighted in this January/February edition. plans for a new library with modern amenities that will facilitate greater learning and research. Other notable mentions include the Conversations on Law and Society series, a rare autobiography, the recent epilepsy-awareness forum, plus our annual Open/Career Day, track and field sporting events, and much more. On behalf of the Vice-Chancellor and staff of The University of Guyana, we invite you to follow the progress and achievements of the University through future editions of Renaissance, and to spread the word about these exciting developments. The collaboration between the Office of the Vice-Chancellor and the Centre for Communication Studies (CCS) of The University of Guyana brings to you this Volume 2: No. 6 edition of Renaissance, a monthly newsletter. Renaissance is the Vice-Chancellor’s medium of sharing with you our University’s developments. In the month of September the University was involved in many activities. 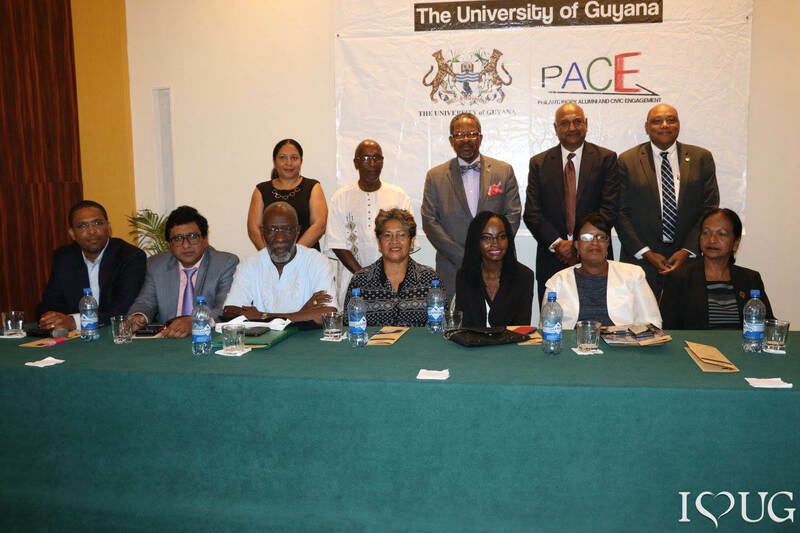 Through the Office of PACE (Philanthrophy, Alumni and Civic Engagement) we hosted another successful and well attended Turkeyen and Tain Talks which focused on Constitutional Reform in Guyana. The Office of PIE (Planning and International Engagement) hosted the Vice-Chancellor’s Renaissance Lecture III, with featured speaker Sir George Alleyne, Director Emeritus, Pan American Health Organization. 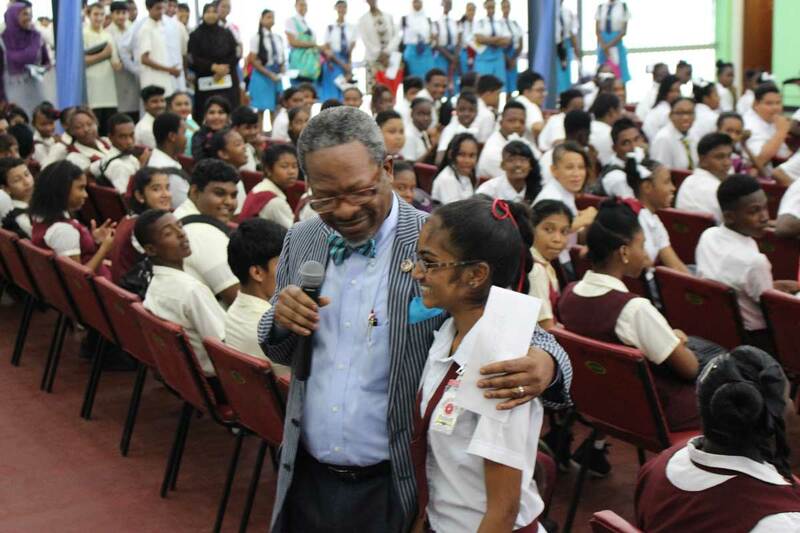 In this edition take pleasure in viewing pictures from a number of Town Hall meetings, both at Turkeyen and Tain Campuses, and appreciation dinners for staff and Sir George Alleyne. Our University’s alumni and friends in New York recently held their Inaugural Renaissance Gala. We hope you enjoy these and other scenes from the Guyana Cultural Association’s Folk Festival, Family Fun Day and Kwe Kwe Night. Additionally, the Minister of Public Telecommunications, Honourable Catherine Hughes, has been a faithful friend to UG. Through Minister Hughes’ intervention the University will benefit from the promise of broadcast licenses and the donation of 278 chairs. The Centre for Communication Studies is particularly ecstatic about the promise of broadcast licenses for both radio and television and would like to thank Minister Hughes for her tremendous support and Professor Paloma Mohamed, Deputy Vice-Chancellor (PACE), for facilitating this venture. Certainly our students and the wider University community will be better positioned to serve the needs of our fellow Guyanese. The collaboration between the Office of the Vice-Chancellor and the Centre for Communication Studies (CCS) of The University of guyana brings to you this Volume 2: No. 5 edition of Renaissance, a monthly newsletter. Renaissance is the Vice-Chancellor’s medium of sharing with you the developments and areas of interest that need to be celebrated at our University. This July-August edition is especially unique since it marks our one year anniversary. it is no coincidence that in July our Vice-Chancellor, too, commemorated his one year with the University, rightfully with an investiture ceremony. Whilst the University was on break for the June-August vacation period, we were still involved in a number of noteworthy activities. The Turkeyen and Tain Talks series has consistently packed the meeting rooms with eager and concerned citizens, willing to discuss pertinent and impacting topics. The University has much to be proud of. In this edition we congratulate the Faculty of Health Sciences, School of Medicine on achieving re-accreditation. Three of Ug’s Computer Science students are mentors and members of the guyana Robotics Team. This team recently represented our country in Washington at the First global Robotics Competition, securing an amazing tenth place out of 164 participating countries. Ug’s Turkeyen and Berbice Campuses held their Orientation Ceremony and activities in the month of August. enjoy images from both of these events. As the semester progresses the Renaissance team wishes all our new and continuing students a hard-working and productive semester. To our administrative staff and lecturers we wish you patience and hope that your committment towards moulding the country’s future leaders, administrators and speialists in their own fields, does not waver. The University of Guyana’s Vice Chancellor Renaissance held the fourth in the series of lectures on Thursday at UG’s Education Lecture Theatre, Turkeyen campus. 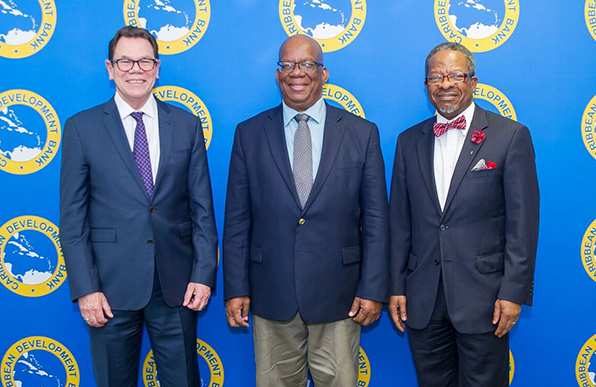 The lecture titled the Multiversity Universities of the Caribbean was presented by Sir George Alleyne and explored the role of universities across the Caribbean in generating trust and assuaging fear that is crucial for the maintenance and prospering of regional integration. Sir Alleyne, the Director Emeritus of Pan American Health Organisation(PAHO) and former Chancellor of the University of the West Indies, pointed out that all Caribbean citizens must work to eliminate fear and build trust to facilitate regional integration. 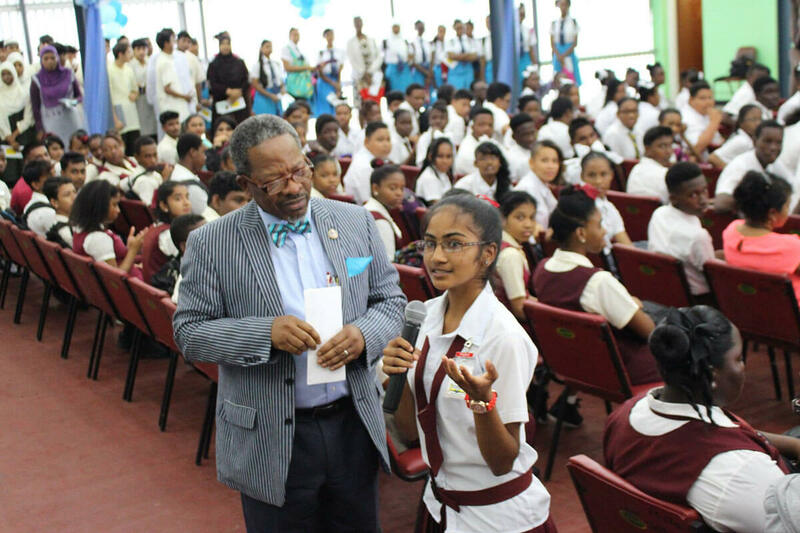 “I say citizens because I do not believe this task should be left to our leaders alone and I do believe that your President’s affirmation is worth exploring in a university context,” Sir Alleyne said. Sir Alleyne noted he was intrigued by President Granger’s comment, at the recent CARICOM heads of government meeting, that fear and lack of trust are the critical factors impeding the implementation of the Caribbean Single Market and Economy (CSME). “Fear is good…but fear can also be a liability as it prevents us taking steps into the unknown,” Sir Alleyne noted. Fear of loss of sovereignty and local agency may be at the root of many of the problems that beset regional integration, Sir Alleyne reasoned. “I believe it is possible to address and diminish it through the collective thinking of informed citizens and that universities of the region can make a substantial and significant contribution,” Sir Alleyne said. Sir Alleyne submitted that the concept of a ‘multiversity’ must go beyond traditional cloistered university communities to see that fear is diminished and trust established. The role of a multiversity goes beyond the role of political leaders. 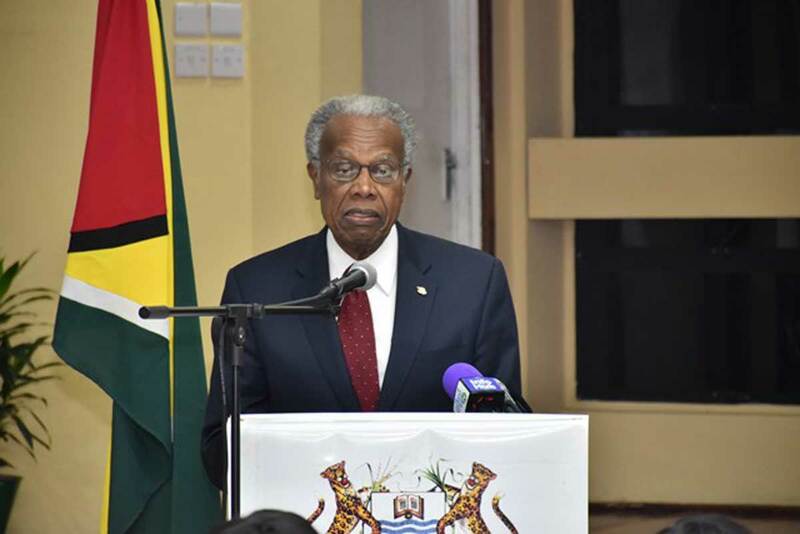 “It is the universities and other parts of civil society that have that critical and fundamental role in developing and fomenting that regional identity and citizenship,” Sir Alleyne noted. The Vice Chancellor’s Renaissance lecture series is intended to enhance UG’s image. The lecture seeks to enlighten the UG community and Guyanese as a whole. The discussions have a broad focus which links Guyana to the wider world while bringing the knowledge of the wider world to Guyana through the lectures. The collaboration between the Office of the Vice-Chancellor and the Centre for Communication Studies (CCS) of The University of Guyana brings to you this Volume 2: No. 4 edition of Renaissance, a monthly newsletter. Renaissance is the Vice-Chancellor’s medium of sharing with you our University’s developments. The months of April, May and June were filled with activities. UG observed its Annual Sports Day and World Press Freedom Day. Reflect on the Faculty of Social Sciences’ (FSS) Department of Sociology and Centre for Communication Studies exhibitions along with UG’s activity to honour Professor Ulric Trotz. In this edition take pleasure in reading the profiles of UG Alumnus and Minister of Finance, Honourable Winston Jordan, FSS’ Assistant Dean, Diana Gobin and UG’s Student Society President, Ron Glasgow. Also learn of the outstanding achievement of Mr Winslow Craig, Master Sculptor and Lecturer. Our University has received tremendous support from the private sector. Read about our recently signed pact with MovieTowneInc and DaChin Development Inc, to develop a solar farm and new student housing. Additionally Grace Kennedy recently awarded some of our students with prizes and tuition as rewards for using their services. We thank the private sector for their interest in collaborating with UG for a more developed and sustainable university. UG recently hosted the Carter Center’s Constitutional Reform Symposium along with Bridges Global Medical Missions’ Continuing Medical Education Conference. Moreover learn more about our upcoming Inaugural Diaspora Conference and how you can contribute towards this event and to our nation’s premiere academic institution. One of Prof. Ivelaw Griffith’s Renaissance aims for the University of Guyana is for it to make itself immediately relevant to the life of the Guyanese Community. The Turkeyen and Tain Lectures is one such example; the University is now being brought to the public. Both the younger and older generations have come to look forward to these lectures not merely as an intellectual treat but as something that is raising public awareness of important societal problems and giving pointers to their solutions. 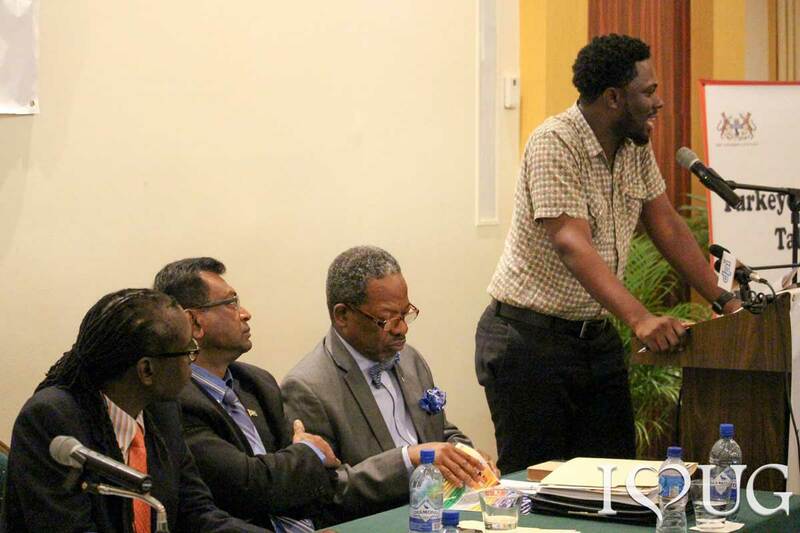 The recent lecture on “Youth, Crime and Violence” was very topical and in the presentations of the various speakers as well as in the audience discussion, various thought-provoking reasons and solutions were proffered as to why Guyanese youth were being drawn into a whirlpool of crime and violence. All reasons and solutions put forward by presenters as well as the audience had much validity but none was all-encompassing. The various solutions were reminiscent of the ancient story of six blind men who were brought to an elephant and were then asked what an elephant was. The first one touched the trunk and he concluded that an elephant was a tube; the next touched the tusks and decided that the elephant was a kind of spear; the next touched the legs and believed that the elephant was a column; the fifth touched the side of the animal and said an elephant was a wall; and the last touched the ear and concluded that an elephant was a kind of large flat fan. The first presenter was the Khemraj Ramjattan, Minister of Public Security. He avoided putting forward any specific solutions as he could have done but instead referred to the various reports on the subject which covered a great number of solutions. Among the solutions which surfaced during the evening was that youth should be kept away from drugs and alcohol; that poverty was a major cause of youth crime and this has to be addressed by creating more jobs and teaching various skills to youth so that they could become self-employed; having healthier TV, radio and press since the media have oftentimes stimulated youth crime; youth crime and violence often become ingrained in Society because of the emergence of criminal youth gangs. These gangs could be changed or even dissolved if such gangs are in contact with sincere and understanding men of God and religious bodies. Many youth feel alienated and are drawn into criminal anti-social behaviour because they feel society is run by the old and as such they have no stake in it. Promoting youth into more decision-making roles in society would help in ending alienation and diminish youth crime. Several participants felt that the State, through an active, imaginative and creative Ministry of Youth could do a great deal for young people and greatly diminish youth crime and violence. In the first place, we feel that greater importance and stress should be given to religion in society. This implies that though we feel that the metaphysical teachings of Hinduism, Islam and Christianity should be taught and made known, by far the main focus should be on the moral and ethical teachings of Religion. The moral and ethical teachings of all religions are much the same and such would bring about greater solidarity among people of Faith in socializing parents and their children in a moral and ethical life. Two or three generations ago, people in the villages of Guyana and even in the city were far more God-fearing than to-day; youth crime and violence were almost unknown. Suicide is today an important element of youth crime. If young persons have a strong religious background, they would not be suicidal since they would understand that it is a privilege to have a human body and that the body is the source of both material as well as spiritual joy. If one becomes overwhelmed in suffering and unhappiness and one is aware of the basic religious teaching that pleasure and pain are not permanent states of being, one would never feel that one could escape from pain and suffering by destroying one’s body since suffering and unhappiness are temporary states which will pass away. In addition to religion, the secular education system could help to socialize children and youth into law-abiding members of Society. And this should start from the primary schools. Two or three generations ago, there were textbooks like the Royal Readers which inculcated moral virtues such as obedience to parents and familial solidarity, belief in and respect for religion, serving and even sacrificing for society, empathizing with the sufferings of other human beings and love and respect for animals. Today’s textbooks are mainly concerned with teaching the skills of reading and writing, and not with the content of the written word as was the case of the Royal Readers. Accordingly, today’s textbooks need to be supplemented with reading matter inculcating moral values and behaviour. Two or three generations ago, the textbooks helped to produce law-abiding and constructive youth and if we resuscitate the method, it would work again. A third approach towards youth crime and violence is to strengthen the family by having parents know the value of bringing up their children as law-abiding citizens and also to give them an understanding of how much more profitable it is to be moral rather than unmoral. Other virtues parents, and so eventually children, will have to be exposed to is to live within one’s means. Clothes, for example, should be made to go their fullest usage before discarded and food should be wholesome and not fast foods which are more expensive. Parents should help their children and encourage them in their studies and encourage reading, using the public library facilities. Closer familial contact would lead to stronger families and such inhibits juvenile delinquency and youth crime and violence. DPI, GUYANA, Saturday, July The University of Guyana(UG) last June, undertook an initiative to modernise the functioning of the more than 50-year-old institution. Under the leadership of Vice Chancellor(VC)Professor Ivelaw Griffith, Project Renaissance intends to “rebuild, (and)rebrand the university” and bring it “into a zone of modernity”. In the last year since the project was initiated, the University has enhanced its campus grounds and facilities. Extensive refurbishment on the Turkeyen campus has been undertaken as part of the capital investment. There are still a series of capital projects that the University has earmarked for completion. The Turkeyen and Tain Talks (TTT), a bimonthly forum engaging communities to discuss national issues, is an initiative under the academic enhancement pillar. The University recently hosted its eight rounds of TTT. The Vice Chancellor noted that creating partnerships is important for enhancement of the University’s academics. He pointed out that the historic Diaspora Engagement Conference seeks to tap into the Guyanese talent in the diaspora. 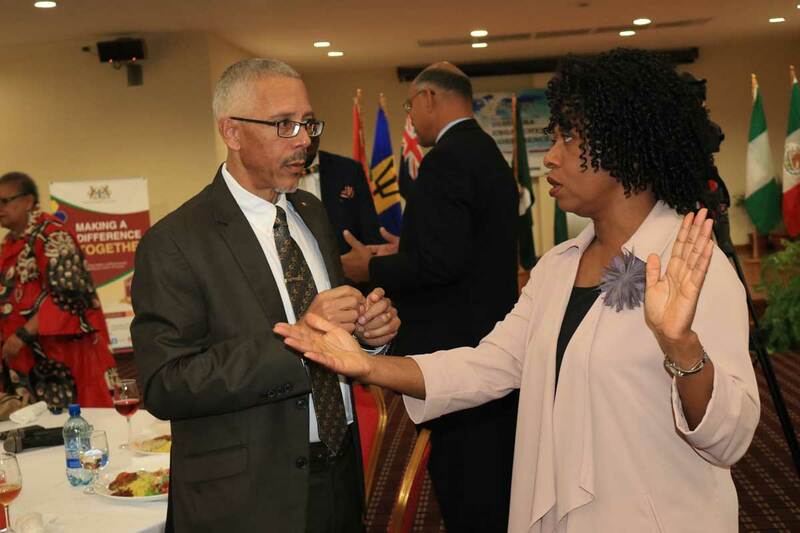 The week-long conference slated for later this month will see the solidification of partnerships between the University and the private sector and investors including strengthening of relations with the University of the West Indies. “It’s a way of saying how can we enable the spotlight on the University to be better than it has been. My idea is to enable the talent, the culture of Guyana at home and abroad to be showcased,” Professor Griffith said. These partnerships that the University is building also help to secure the institution’s economic viability. The UG has been in receipt of equipment and funds from various donors to the tune of US$450,000. The University has also signed MOUs with government and private sector for future actualisation valued at US$30M. Professor Griffith noted that these partnerships give technical support to the University and helps build capacity. These are just some of the initiatives that have been undertaken as part of UG’s renaissance. However, the full modernisation of the institutions campuses and curriculum will take time, Professor Griffith cautioned. “This university’s neglect has been so deep and so wide it’s going to take at least five years to get to a state where we can be comfortable that we’ve got many of the platforms where they should be,” Professor Griffith said. 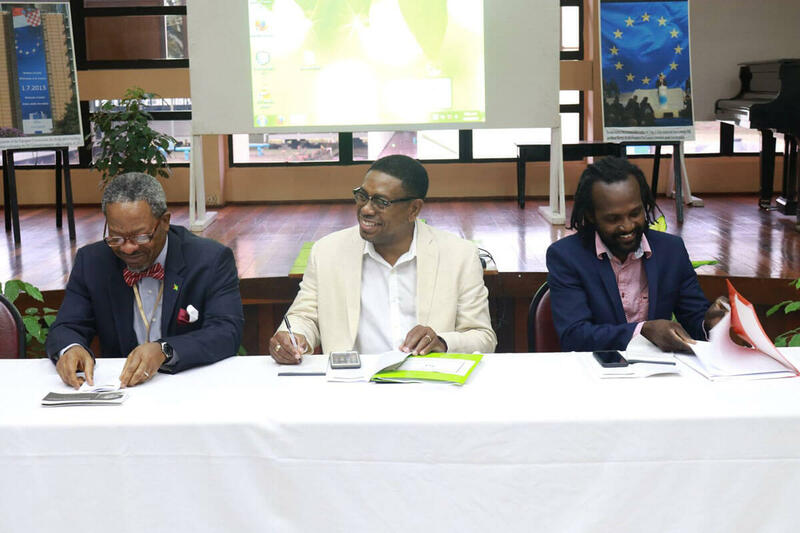 Project Renaissance is envisioned as a “maturing overtime project” which will enable the University of Guyana to become a consequential national and international educational stakeholder.